Do you notice something different? 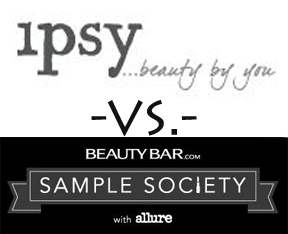 That's right...I dumped Birchbox and upgraded to Beauty Bar and Allure's Sample Society. It is $15 a month instead of $10, but it is much higher quality than Birchbox. 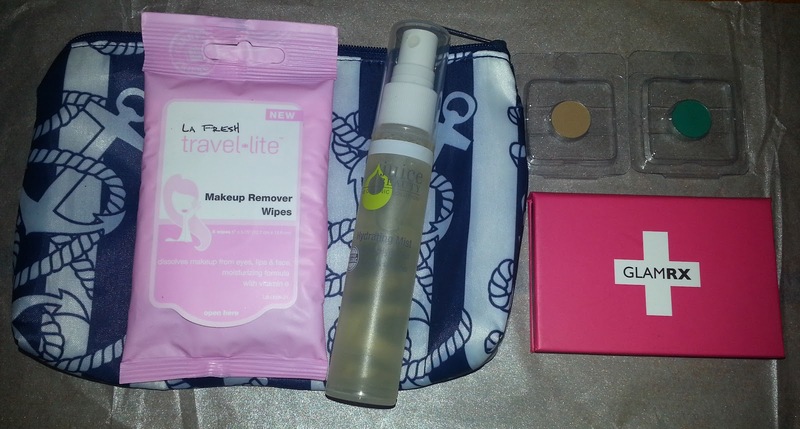 Initial Thoughts: I'm not thrilled about this Ipsy bag. I am however willing to forgive them since Ipsy has been so awesome recently. This month was a complete bust for me. The Glam RX is basically an EMPTY magnetic palette that you can put the crappy Yabby eyeshadow in. I won't use the eyeshadow and probably won't use the Glam RX. I love Juice Beauty, but I am not a fan of Hydrating Mists. I just find it odd to spray scented stuff in your face. I always want to wipe it off afterward. This stuff feels a little sticky to me too, so I don't care for it. I will use the LA Fresh wipes and the makeup bag, but that is about it. *$15 gift code to redeem on a $50 purchase - when any product from the brands you've sampled is included in your order. This Month's Winner: Sample Society hands down. Now that my boxes are costing different amounts ($10 for Ipsy, $15 for Sample Society); I will keep that in mind when picking the winner. This month's value, usability and overall excitement all are in favor of Sample Society. I will use everything in the Sample Society box. Whereas with Ipsy I will only use 2/5 of the products. I'm not worried about it though. 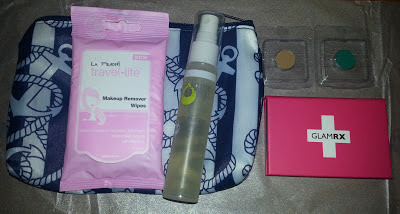 Ipsy has been very dependable and sent mostly amazing products. I am confident they will improve next month. Disclaimer: I pay for these subscriptions out of my own pocket. This is a completely honest post for the benefit of my readers. I am not in contact with the companies and I am not compensated in any way. I actually love those La Fresh wipes. The hotel we stayed at last weekend had samples in the bathroom and they were fabulous. I normally use another brand that leave my face greasy and these didn't. i really enjoy these posts and I like to see what you got and how you feel about it. I do have to say that for the most part I have liked your Ipsy boxes. I'm thinking that might be a pretty cool thing to get my college kid for Xmas, a one year subscription ya know, she love makeup and stuff! A full sized butter London!!!!! Omg!